With the introduction of contactless payments, cash transactions are increasingly rare making it important for organisations like RBGE keep pace with this change if they are to increase the amount of donations they receive. 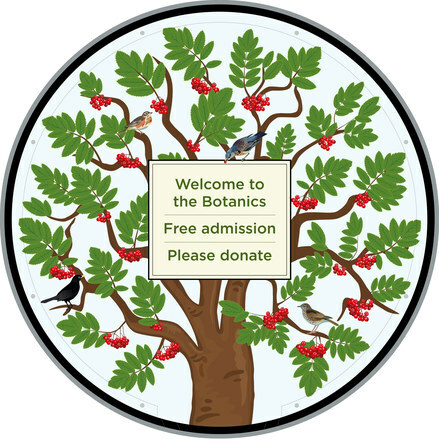 Working closely with RBGE, The Port initially created concept designs for a new bespoke donation unit for the Edinburgh Garden. These were well received and led to The Port being further awarded the contract to complete the design and build 2 of the units; one to be located inside the John Hope Gateway and the other to be outside at the East Gate. Collaborating with Bespoke/Specialist Fabricator Steve Dale, the units were constructed over a period of 10 weeks and installed November 2018. 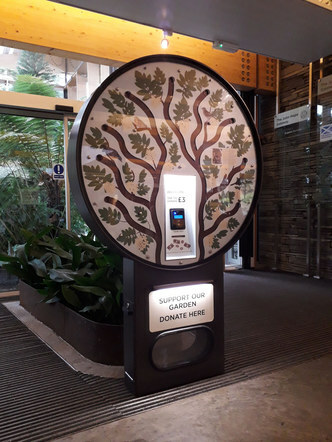 The units offer both traditional coin-slot donation and contactless payment and have proved very successful with a noticeable increase in donations for the Garden. 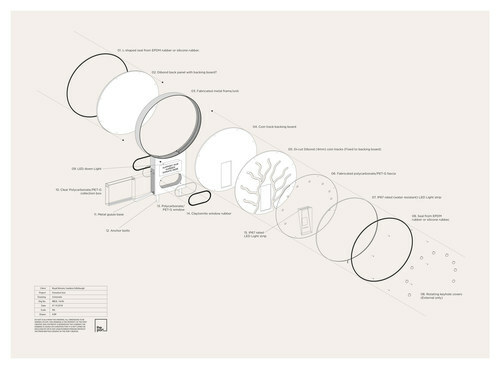 3D design and illustration by the Port Creative.